The AGATA campaign in GANIL has been approved by the ASC until the end of 2020. A GANIL call for proposal is announced, with a submission date end of May. The call foreseen the AGATA+MUGAST+VAMOS setup in the G1 cave for experiments ready to run in 2020. The call for 2021 is not yet defined and will be defined with the community. Letter of Intent for the use of AGATA at GANIL in 2021 are therefore welcome. These limitations are needed to maximize the output of the campaigns. The goal of this workshop is therefore to discuss the physics cases and to asses the feasibility of proposals and letter of intents to be submitted to the forthcoming GANIL PACs. Proposals using the AGATA+MUGAST+VAMOS setup to be submitted in 2019, and letter of intents for AGATA+VAMOS to be submitted in 2020 are expected. 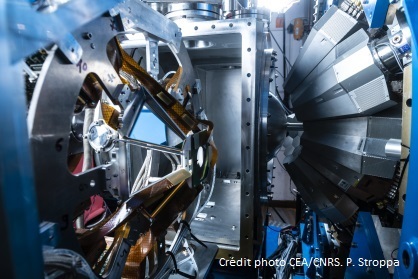 This meeting also aims at stimulating discussions on new experimental strategies and approaches to optimize the physics output of AGATA and exploit its unique capabilities. Several LoI have been already discussed in the 2018 pre-PAC Workshop. Those foreseen to become a proposal to be submitted to the GANIL PAC in 2019 are expected to be presented and discussed. It is important to note that all proposals using AGATA will have to be discussed in this workshop before being submitted to the PAC. This is to ascertain feasibility and to avoid overlaps. Please send us the proposals/LoIs before 7th of April 2019. These should include a description of the experimental setup, beam (energy, intensity), target(s), and the justified request of beam time. This will allow us to check the technical issues. The AGATA Workshop will start at 14.00 on the 18th of April and will finish before lunch time on the next day. It will be held at the conference room of the GANIL guesthouse. All spokesperson will be invited to present the experimental proposals at the Workshop. These presentations will be of 10 minutes, with ample space for discussion. We warmly recommend the spokespersons to contact as soon as possible the experts of the complementary equipment they intend to use. The deadline for registration is 12th April 2019.